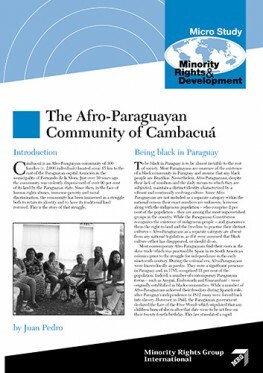 Cambacuá is an Afro-Paraguayan community of 300 families (c. 2,000 individuals) located some 15 km to the east of the Paraguayan capital Asunción in the municipality of Fernando de la Mora. Just over 30 years ago the community was violently dispossessed of over 90 per cent of its land by the Paraguayan state. Since then, in the face of human rights abuses, immense poverty and racial discrimination, the community has been immersed in a struggle both to retain its identity and to have its traditional land restored. This is the story of that struggle.